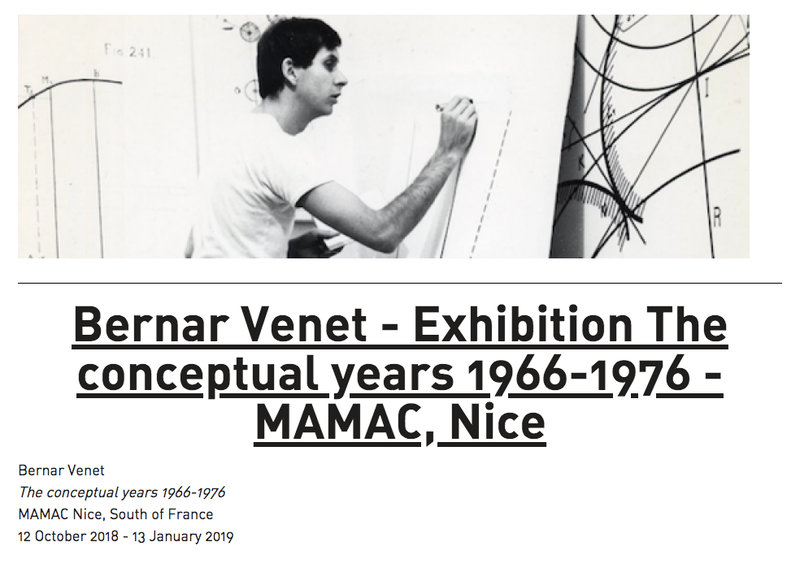 Bernar Venet: The Conceptual Years 1966 - 1976 is on view at Musée d'art moderne et d'art contemporain from 12 October 2018 to 13 January 2019. In the 1960s, Bernar Venet embarked on an unprecedented radicalisation of the artistic experience and aesthetic production. Deterred by the hackneyed conventions of French art and fascinated by American formalism and, above all, Marcel Duchamp, from 1970 onwards, he emerged as one of the leading figures of conceptual art. For the very first time, the exhibition aims to explore this little-known period of his career, which began in Nice and unfolded in the United States.